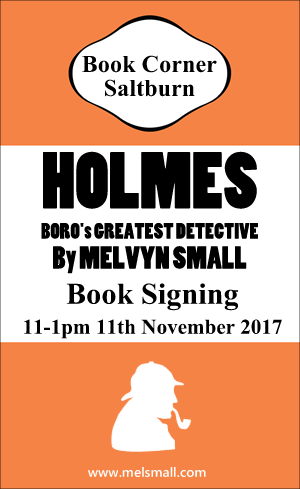 Melvyn Small will be signing first edition copies of his Sherlock Holmes books (Holmes Volume 1 & 2) at Book Corner, Saltburn on Saturday. Why not pop in and bag yourself a personalised Christmas present for those you love? Watch out for future events using either Facebook or Twitter.